Understanding the costs of drug-related actions is an important aspect of drug policy. Some of the funds allocated by governments for expenditure on tasks related to drugs are identified as such in the budget (‘labelled’). Often, however, most drug-related expenditure is not identified (‘unlabelled’) and must be estimated using modelling approaches. In Spain, the National Strategy on Drugs and the action plans had associated budgets, but actual expenditure was not reviewed. A 2002 study looked at the social costs of drug use and included an estimate of drug-related expenditure. The study did not, however, distinguish between public and private expenditure. The Spanish authorities provide annual partial estimates of drug-related public expenditure by central government and by the autonomous communities and cities. However, the estimates do not cover all sectors and include labelled and unlabelled expenditure. Comparability over time is limited because reporting entities and data collection methods have changed. In 2013 and 2014, drug-related public expenditure was estimated to represent 0.03 % of gross domestic product. 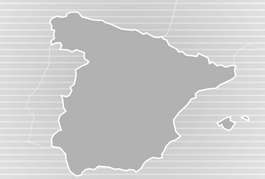 Most of the total of approximately EUR 333 million (about 65 %) was spent by the autonomous communities and cities, while the remaining 35 % was spent by the central government. In 2012, the autonomous communities spent more than four fifths of their expenditure on treatment, while the rest was spent on prevention, research and institutional cooperation. Estimates for the total expenditures of local governments are not available. The available information does not allow the total amount or trends in drug-related public expenditures to be reported.